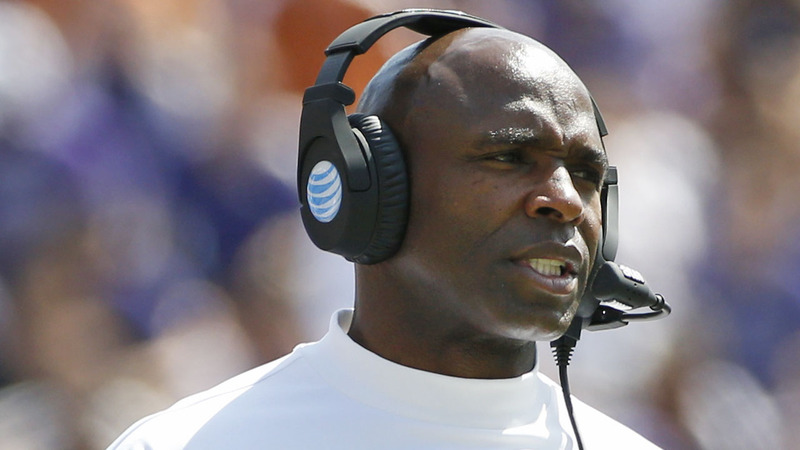 TAMPA, FL (KTRK) -- Three weeks after being fired by Texas, Charlie Strong was hired Sunday to be the coach at South Florida, returning to a region where he has deep roots and a conference where he has won championships. Strong was fired by Texas on Nov. 26, the day after coaching his final game with the Longhorns. At No. 25 USF, he replaces Willie Taggart, who left the Tampa school to become coach at Oregon just a few days ago. "Charlie is a tremendous leader and mentor for our student-athletes and a widely-respected coach with a resume full of achievements at the highest levels of college football," USF athletic director Mark Harlan said in a statement. "He combines a drive to win with great integrity and deep, long-standing connections in the state of Florida. The future of USF football is very bright under his direction." The Bulls went 10-2 this season and finished second in the American Athletic Conference East division to league champion Temple. Strong was 16-21 with no winning seasons in three years at Texas after replacing Mack Brown. Before going to Texas, Strong was 37-15 in four years at Louisville (2010-13), including 23-3 in the final two seasons. The Cardinals were in the Big East/American Athletic Conference when Strong was coach and they won at least a share of two league championships. The 56-year-old Strong has deep roots coaching in the state of Florida. He did three stints covering 13 seasons as an assistant coach at the University of Florida under Steve Spurrier, Ron Zook and Urban Meyer, mostly as defensive coordinator. He was also defensive coordinator at South Carolina from 1999-2002. "Some of the best football talent in the country is right here in the Bay Area and throughout the state of Florida, and I feel blessed to have the opportunity to work with the young men in the USF football program and build on the strong foundation already in place," Strong said in a statement.